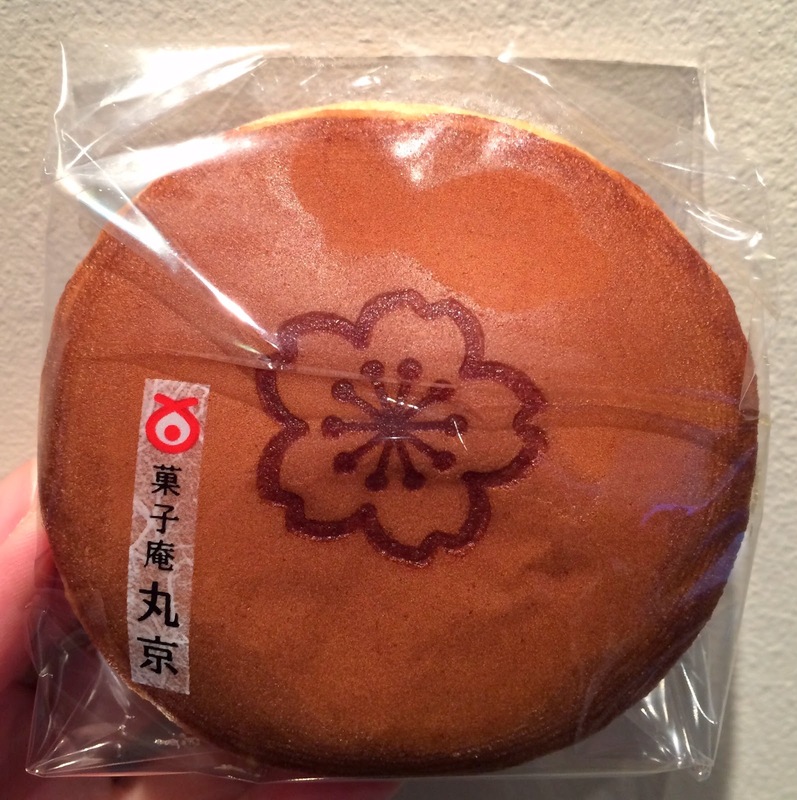 This is another spring season limited Dorayaki from Marukyo that produced Sakura Mochi Iri Funwari Yaki. It's called Sakura Dorayaki; Sakura is cherry blossom and Dorayaki is a Japanese confectionery consisting of sweet red bean jam between 2 pancakes. 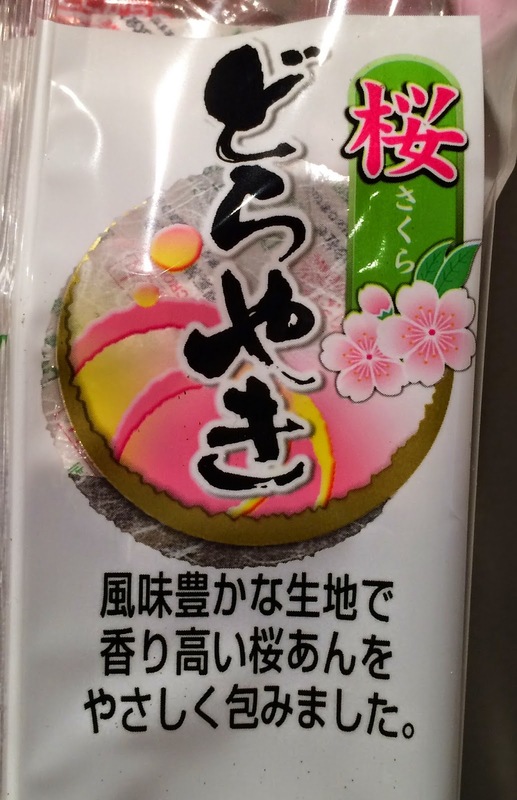 On the side, it says "contains fragrant sakura bean jam paste" same as on the front. "We gently wrapped fragrant sakura bean jam paste with richly flavored cakes." "Tasty fragrant sakura bean jam paste! Marvelous sakura flavor diffuses in your mouth. Please enjoy a relaxing moment with this refined and sweet sakura bean jam paste Dorayaki and your favorite drink." 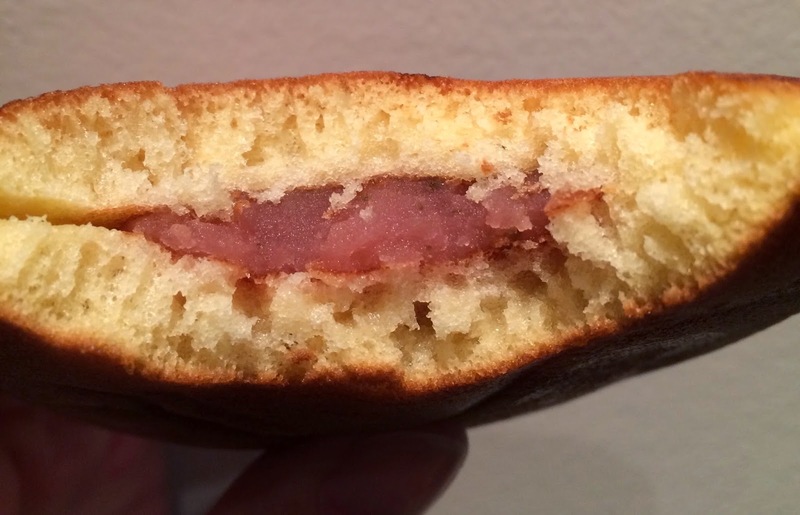 Same as Sakura Mochi Iri Funwari Yaki, each Dorayaki was individually wrapped. 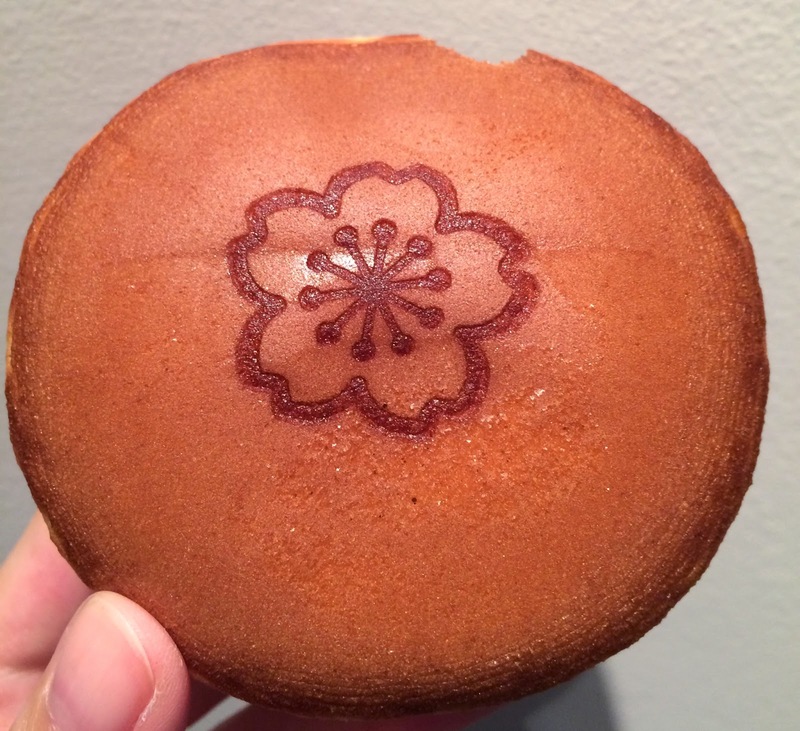 The cakes were brown like orthodox Dorayaki, and in the center, sakura mark was seared. The diameter was about 10cm (4 inch) and each cake was about 1cm (0.39 inch) tall. From the side, the center was the tallest. 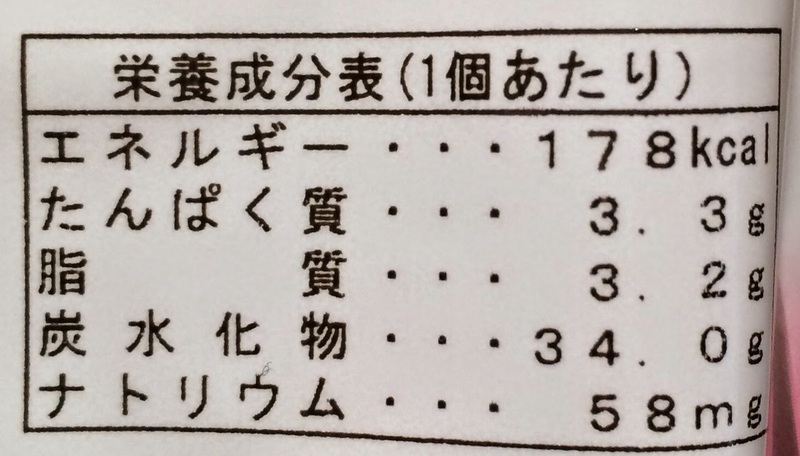 From the first bite, I could reach the sakura bean jam paste, and it's pale pink with chopped sakura leaves. I didn't taste much saltiness or bitterness of the leaves and the paste wasn't too richly sweetened. Cakes were soft and moist.